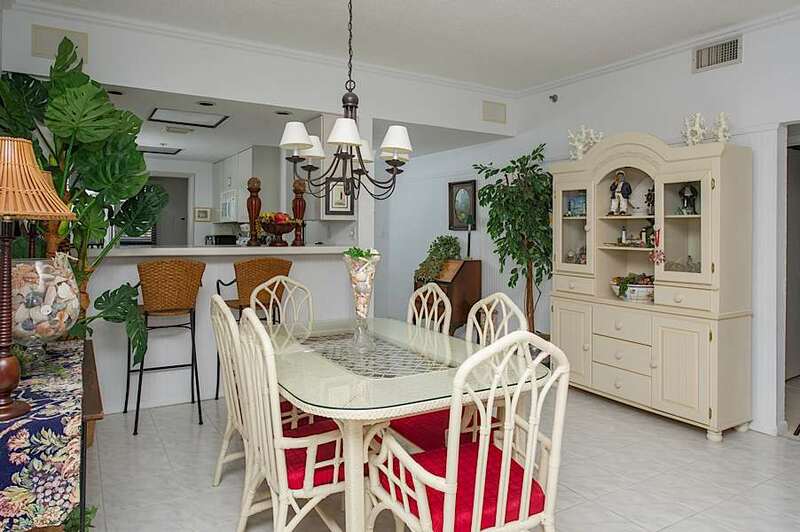 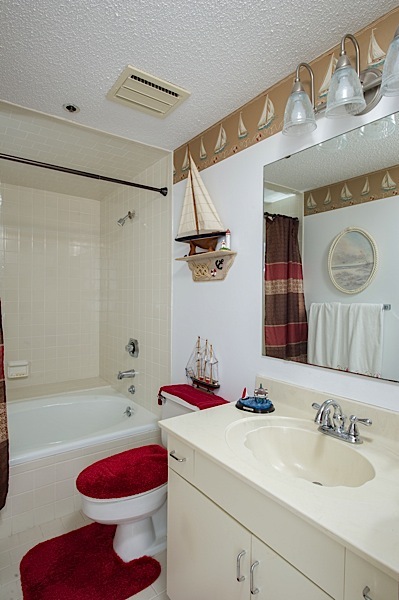 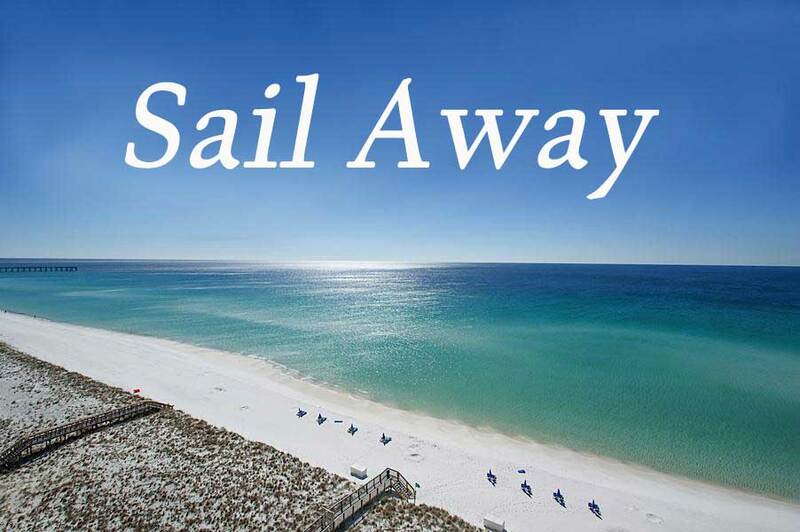 Feel your cares Sail Away when you enter this top floor, west end unit at Navarre Towers. 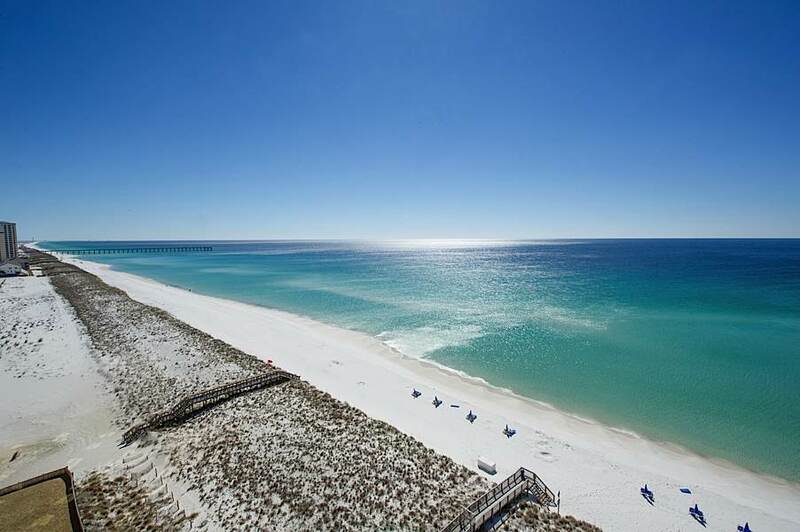 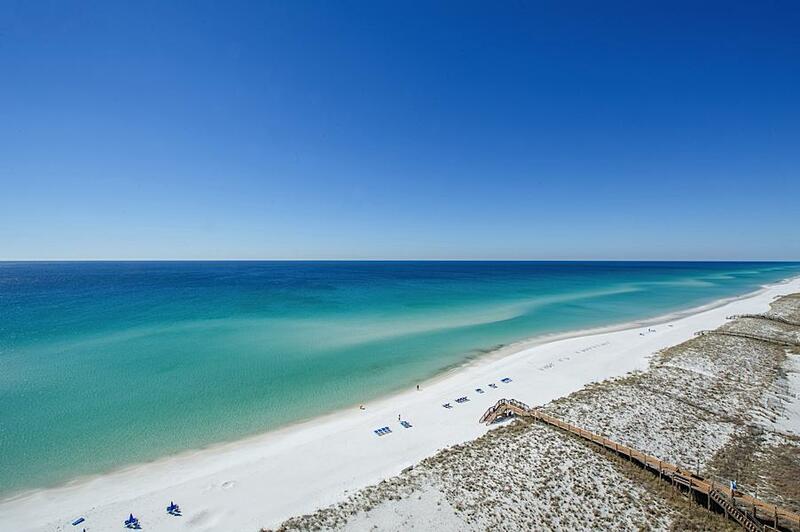 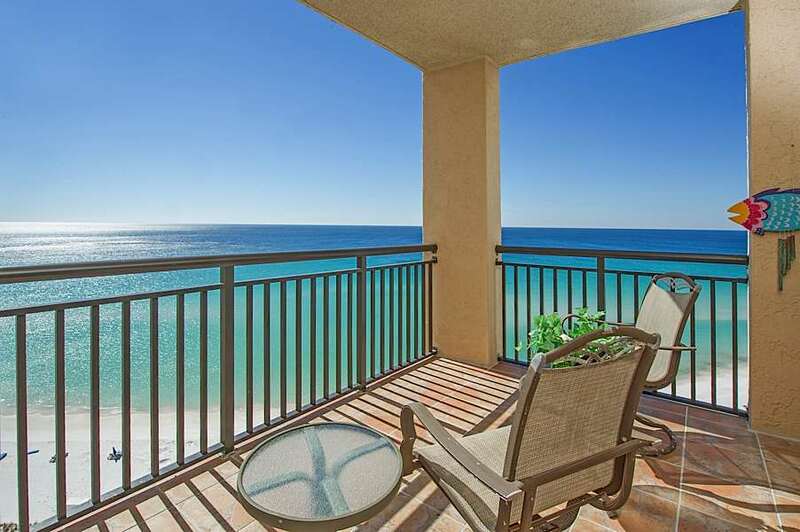 Take in the spectacular views of the beautiful emerald water and white sand beach as you relax on one of the two balconies available and feel the peace that Navarre Beach has to offer. 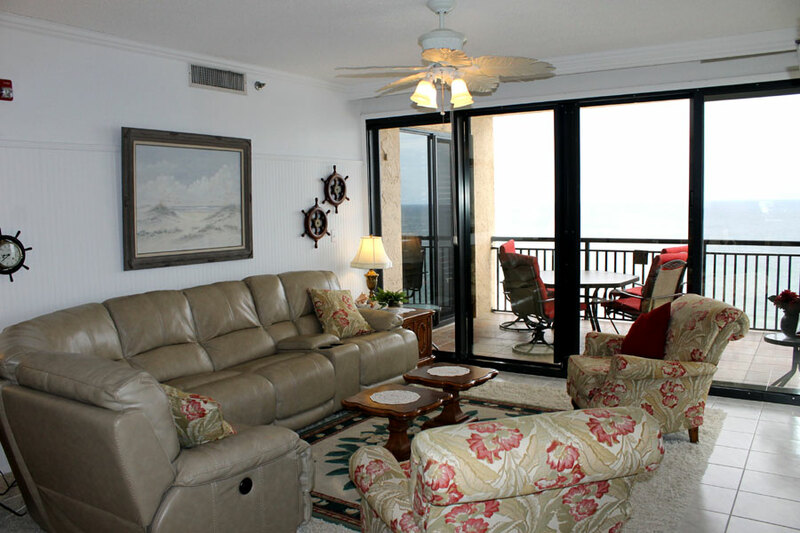 Keep a lookout for dolphins and other marine life, from this unit you can see it all. 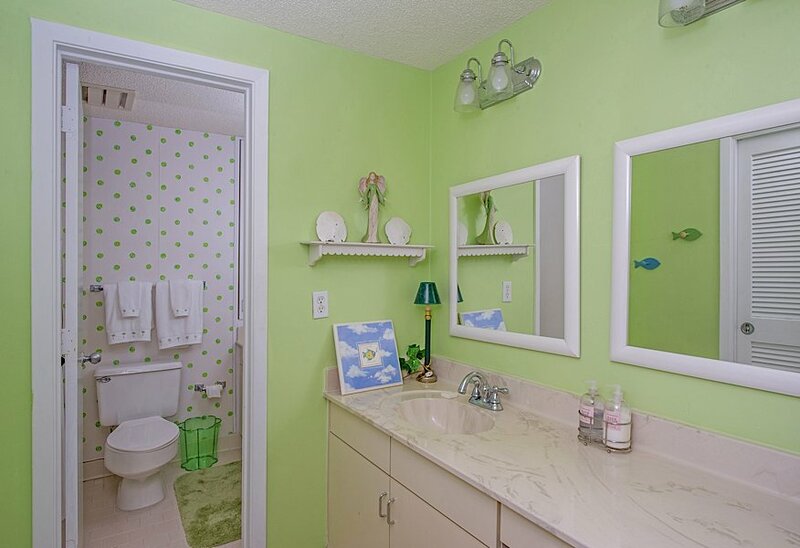 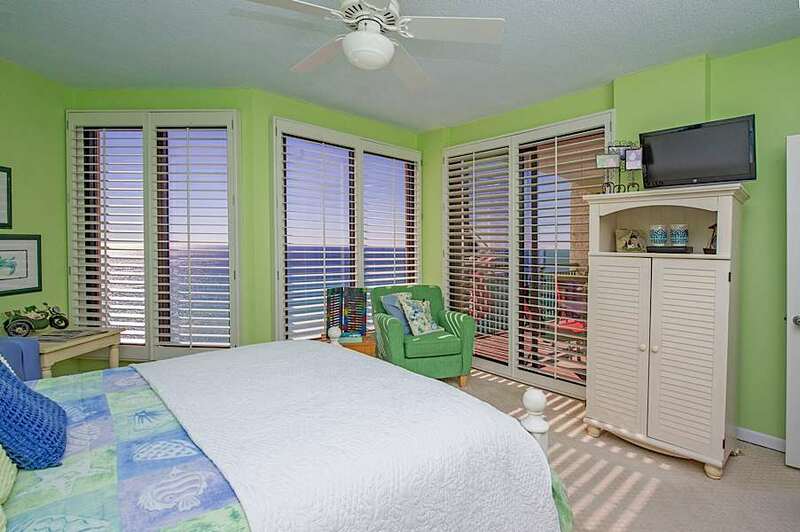 You will feel as though you are a guest in someone's home in this beautifully decorated 2 bedroom, 2 bath unit that sleeps 4, with an inflatable mattress available for sleeping up to 6. 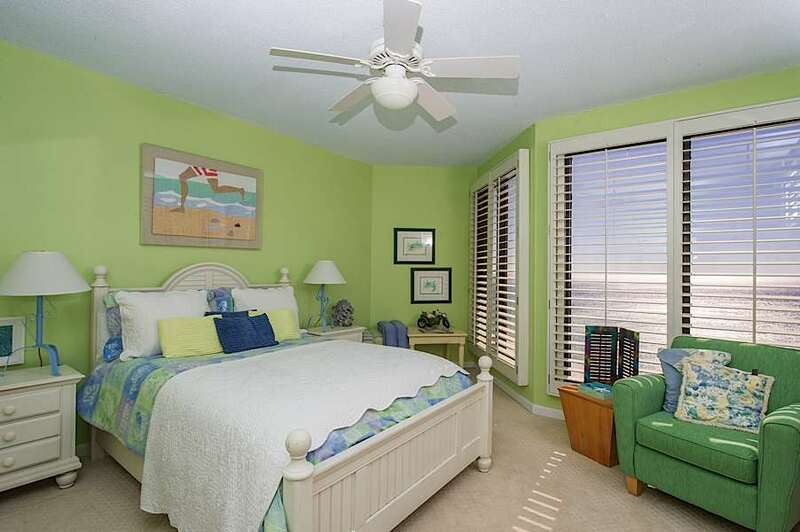 The master bedroom offers beautiful beach views and has access to the balcony.. 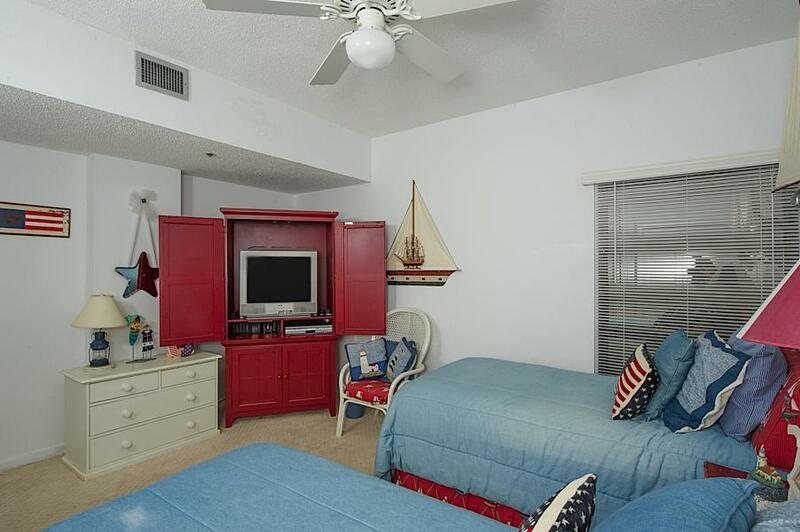 The guest room offers twin beds. 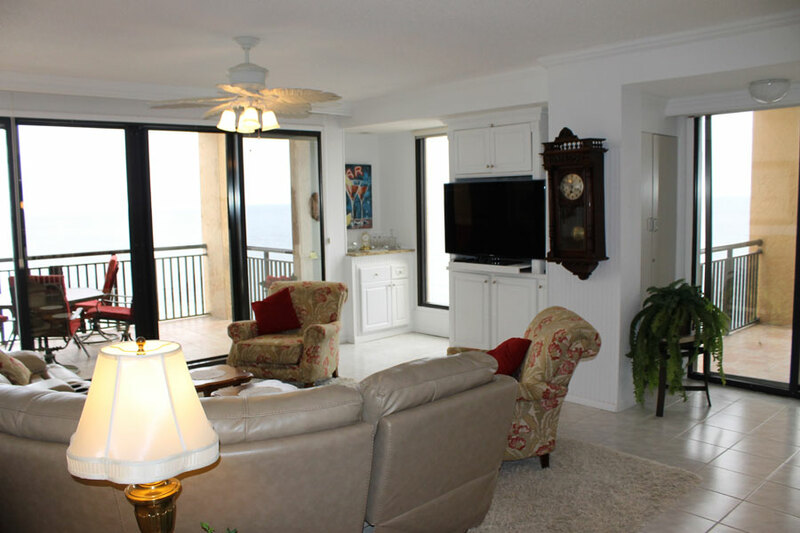 TV's in every room, with the living room featuring a 55" High Def and a large leather sectional sofa for enjoying your favorite sporting events or movies. 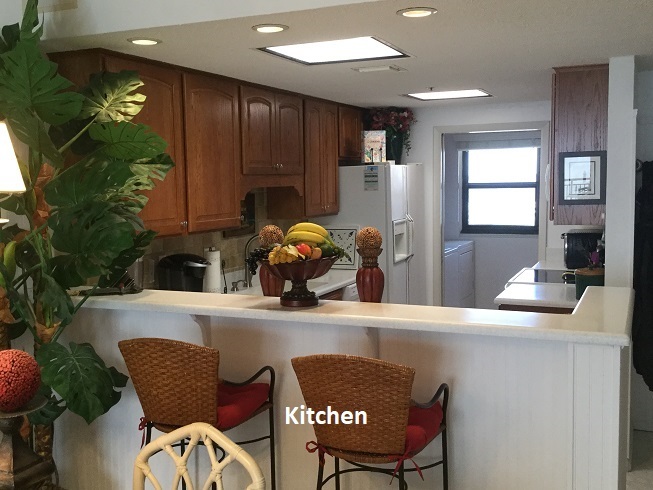 The kitchen is fully equipped, whether you want to cook a little or a lot. 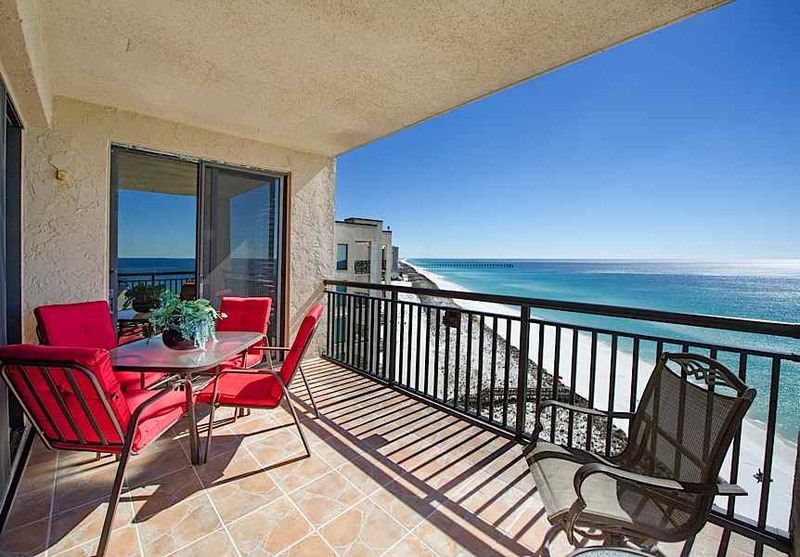 Navarre Towers is a gated complex featuring a beach side pool with a charcoal grilling area, a tennis court, basketball court, two shuffleboard courts and a fitness center. 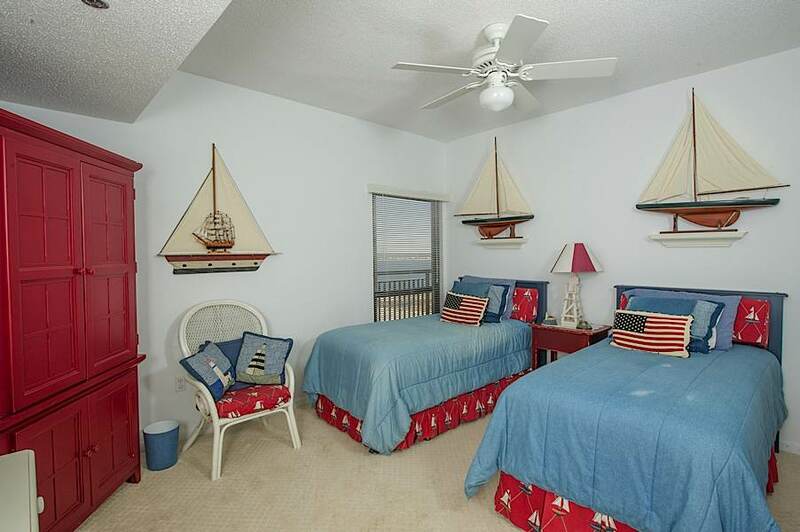 The owner of this unit has included beach service of two chairs and one umbrella from May 1st through Labor Day for your enjoyment!